There is a lot to know inside the channel of PPC. As PPC or Google Ads is paid, every penny invested here is calculated with great concern. In PPC, the pricing strategy is something that a marketer always pays attention to. It could be possible that the pricing of an ad (with offer) may rise in the next few days, which was low earlier. Hence, your plan and returns may get affected, so it’s time to use PPC Yield Management and boost ROI. The yield management is a pricing strategy that particularly aims to imagine and influence buying behavior to increase revenue from the industries having limited offers and time-related bookings. This is also known as revenue management in the travel and hospitality industries. In fact, the strategy is applied to the industries that come with an offer which either expire or limited in supply. These offers are subject to downturns in demand based on an array of market variables. You may have seen it in reaction, but have not paid attention to. Hotels or resorts, for instance, use this online booking strategy when there’s a major event, like a concert or conference where it would be causing demand for hotel rooms to rise and availability to be low. PPC yield management takes this step to the next level and applies to online advertising. It’s still making regular adjustments in the price of a product or service in response to market variables fluctuation. The way ads got their ranking on SERPs is similar to the function of an auction. Every marketer places an ad for a given search query makes a bid for that ad to show. For marketers, it’s like there’s an optimization chance that how much they can bid for that to occur depending on keywords. The bidding process includes information about a particular consumer regarding their digital engagement. The information collection type is supposedly non-invasive, can be paid for with keywords to place a value defining the relevancy of that user to a given business. As its keyword-specific, every keyword will have historical performance data from publishers, which when totaled, resemble a keyword level relationship between the projected volume of clicks at a given bid level. There are numerous advantages of this approach for the marketer. In PPC, keyword searches would be a leader, so marketers can bid on search query knowing the user’s objective. The technique i.e. PPC yield management is useful because marketers need to pay for that lead when a user clicks on an ad, indicating additional interest. Basically, the strategy has two tiers of interest, the first one is the search query, and another one is content of the search ad. Once a user clicks on the ad, they directly meet the business. It’s now up to the business to take the click into further steps and finalize the deal. Those customers who attempt to manage a PPC program without using all of the data at their own means they are not rightly using it. Similarly, a PPC program management without an automated tool is like they are limited by the capacity of the individual or the team managing it. An automated tool calculates an optimal bid for all 50,000 keywords every day utilizing new data dynamically and making bid adjustments every day using the same incoming data, regardless of the volume of interaction. 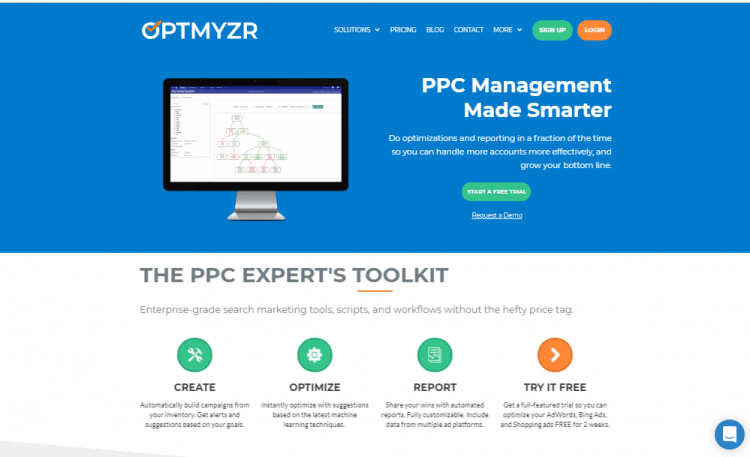 You can use Optmyzr PPC tool for accomplishing your target. PPC campaigns need a lot of expertise and knowledge to get managed effectively. A marketer has to keep eyes on the resources that can help him a better ad management for better returns. PPC yield management is the technique that would help a marketer to increase the returns without taking manual efforts.